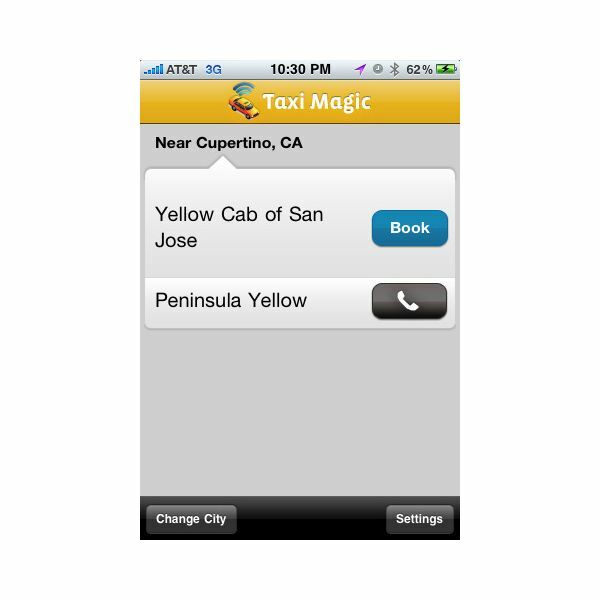 Apple’s App Store offers a variety of taxi apps that make it easy to find local taxi companies or even to hail a cab directly from your phone. Keep in mind that these applications often do not include city-authorized cab companies (like yellow taxis in New York) and consequently may not list the cheapest options. This awesome, award-winning app not only allows you to hail a taxi from your phone but also provides live updates on the progress of your cab to your destination. The app finds cabs in your area, allows you to book one with the touch of a button, and then, when possible, provides dispatch updates. One neat feature allows you to “expense" your trip using an e-receipt, and the app also allows you to charge the cab ride to your credit card. One downside is that the app doesn’t offer bookings in a few major localities, including New York City and Miami. The app is free. This app is a little less comprehensive (and a little more expensive) than Taxi Magic, but nonetheless pretty useful. 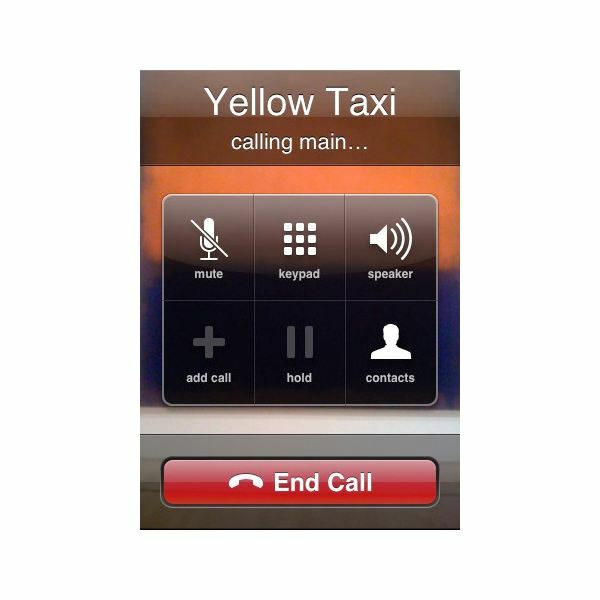 It uses your current location (based on the iPhone’s GPS) to locate cab companies in your area, and then provides you with their contact information so you can call and reserve a cab. The app costs $0.99. Taxi! is free and provides more information about local cab companies than Taxi (no exclamation). This app also determines your location and then provides you with a listing of local cab companies, but it also provides ratings and reviews of the cab companies from previous user feedback. A neat feature is that the app also lists payment options for each cab company, so you know whether it is okay to pay with a credit card. 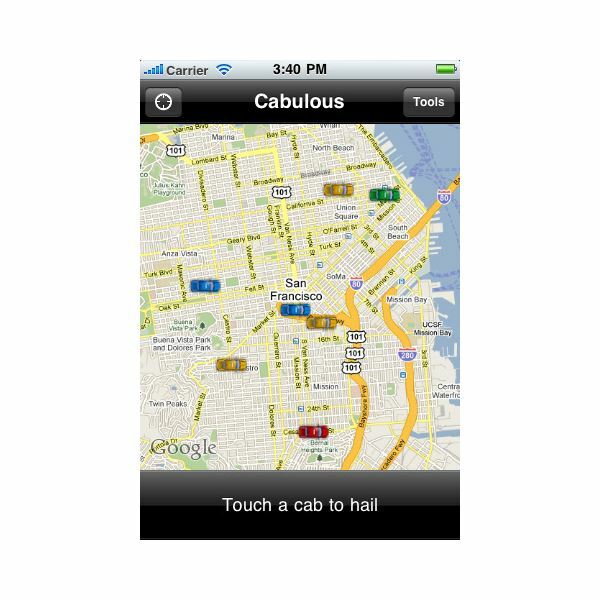 Cabulous is a neat free app that is based not on cab companies but rather single, vacant taxis. 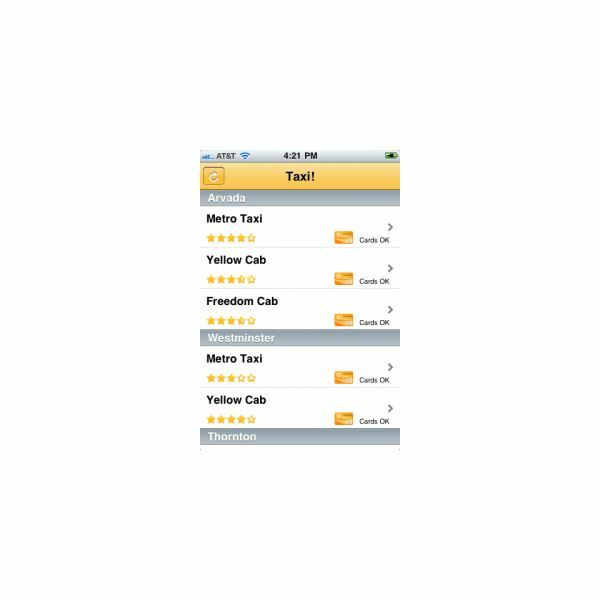 Cab drivers list where they are and the app lists nearby vacant cabs, allowing you to “hail" one. Once you do, you can watch the cab progress towards you on a map, so you know exactly where it is. Another cool function allows you to list your favorite drivers in case they happen to be available again when you need a cab in the future. The app also allows you to call drivers directly, a nice feature for aspiring passengers fed up with speaking with company dispatchers. Although it is among the more expensive taxi apps, Rocket Taxi is also one of the few that covers over 10,000 cities across the world. 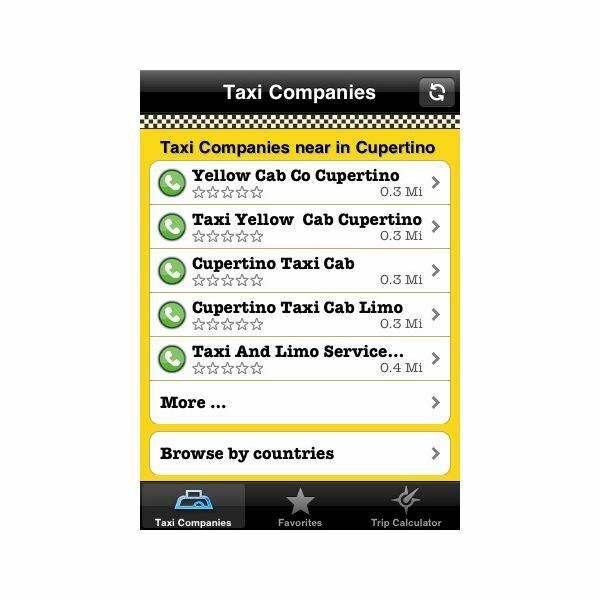 This app allows you to find local taxi companies in 15 countries and contact them directly. In fact, this app actually stores the information in your phone directly for offline access, a convenient feature for when you are on-the-go without easy network access. The app also features a currency converter and fare estimator so you can better understand fares abroad and a suggested route function so you can be sure you aren’t being taken for too long a ride. It costs $1.99.